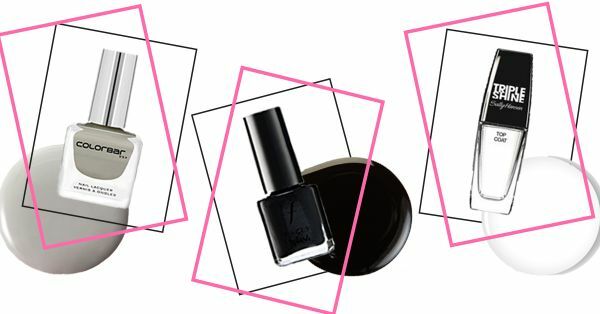 10 Trending Nail Polish Colors That Will Completely Rule 2019! If being more trendy and groomed was one of your many resolutions for 2019, this feature will come handy for you. Your base may be right, your outfit may be too—but you’re never ready till you get a good manicure. Luckily, a good scrub and file session followed by the trending nail polish colors can transform your look. And here we will tell such nail color trends that will be ruling this year. Whether you’re all about French tips or outlandish nail art, there are some nail color trends that you have to try in 2019 to make your nails look gorgeous. So, let’s begin, shall we? As with the start of every year, Pantone, the king of colour and trend forecasting, always declares their shade for the year. This year it is the cool toned Ultraviolet. Work this colour into your daily style adding this shade to your kitty. You’re going to be seeing this color around for the whole year so it shouldn’t be too hard to find. Grey is the new neutral and looks chic on anyone. It’s a colour that is androgynous, urban and very restrained. It goes with any personality type and since it’s so unusual, a great conversation starter too. We suggest going for warm tone greys for warm skin tones and cool-toned greys for those of us with lighter skin. Move over gold, silver metallic nails are all the rage. The festive wedding season is coming to a close soon, so we can safely move away from our golds and flirt with silver. Metallic nail polishes always make a comeback, and this time icy silver tips will steal the show. Haute and tangy, tangerine will be your go-to polish for spring 2018. It’s the perfect colour to accentuate those summer floral dresses and just classy enough to add a pop of colour to a formal office outfit. The 90s have been making a comeback for a while now, which is why it isn’t a surprise that glossy black nails would be too. Whether you want to go all black, or just use it the ring finger—make sure to go with a glossy finish, that is on trend right now. Popping pink colour will surely be ruling this year. Wear it to a wedding or any other blingy occasion and your look for the night will be just perfect. Peacock green is a really unique colour that you can adorn on casual days. It will add that pop to those boring days. It is a colour that you can even wear with formals and it won’t look odd at all. When we talk about something blingy, golden colour automatically comes to our mind. Yes! This golden colour will be in trend for a whole year. So, buy a golden nail paint and all your big occasions will be sorted. Now that we have seen the popular nail colors that will be trending in 2019, let us now focus on the products that one must have in their nail art kit to keep up with a 2019s trend. No matter the colour, rhinestones and glitter are hot accessories for your polish. A simple silver stud or a few bedazzled stones, bling is in, it’s up to how much you can rock. So if you’re wanting to give your regular old polish an update just add a few sparkles for a whole new look. Finally, when it comes to keeping it fresh and youthful, it’s all about going classic with a clear top coat. Healthy manicured nails are always on trend, so buff them out and use a lovely high-gloss top coat that will make those tips standout. So, these were the 10 trending nail polish colors that will surely rule the year 2019.